Summary: Aditya and Shraddha starrer, along with 'Iron Man 3', are doing exceedingly well at the box-office. Aashiqui 2 and Shree released last Friday and no prizes for guessing that with good music and an aggressive marketing strategy, Aashiqui 2 has worked big time at the box office. The film has collected Rs 18.65 crore in its initial weekend with Friday being Rs 5.74 crore, Saturday being Rs 5.86 crore and Sunday being Rs 7.04 crore at the box office. This ensures that in the first weekend itself, the film will be a profit making proposition for everyone. On the other hand, the poor marketing has been the undoing for telly actor Hussain Kuwajerwala's debut film Shree which is a disaster at the box office. Last week's Ek Thi Dayaan showed no improvement whatsoever and will be a losing proposition. The first week total of Ek Thi Dayaan is Rs 22.84 crore and second weekend is Rs 1.66 crore. The total for the first 10 days is Rs 24.50 crore. Meanwhile Commando in its second week collected Rs 3.39 crore and Rs 40 lakh in its third weekend making its total to Rs 21.23 crore. Nautanki Saala collected R 3.67 crore in its second week and collected Rs 50 lakh making its total to Rs 20.61 after the third weekend. A special mention must be made of the Hollywood film Iron Man 3 which has managed to surprise everyone at the box office with extraordinary weekend collections. It has collected around Rs 21.53 crore in its opening weekend inclusive of English and the Hindi, Tamil and Telugu dubbed versions in 2D, 3D and IMAX formats. Trade analyst Amod Mehra says, "The music of Aashiqui 2 has helped a good opening. Although the opening was not very great but as it is a small budget film, it is a reasonable good opening. The film can be termed as a small budget film and had a decent weekend. If it sustains, it will be a hit. 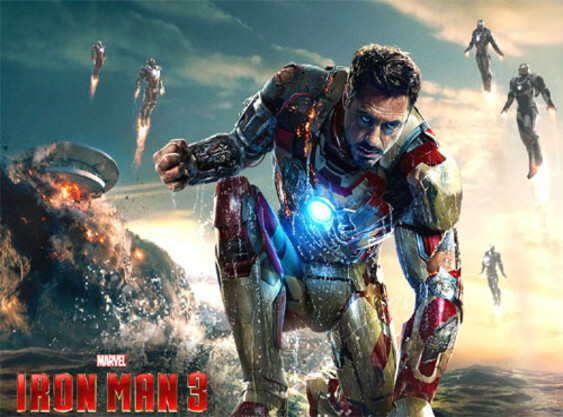 On the other hand the dubbed version of Iron Man 3 has also done remarkable business and holding itself in front of a Hindi film is quite commendable." Trade analyst Atul Mohan adds, "The opening of Aashiqui 2 was good and although the film has mixed reactions from the audience, the film did collected a good first weekend. The brand Aashiqui worked in its own way and the music helped. Shree failed on its marketing level. I have never been able to understand why people make a film worth crores and not spend a few lakhs on its marketing."